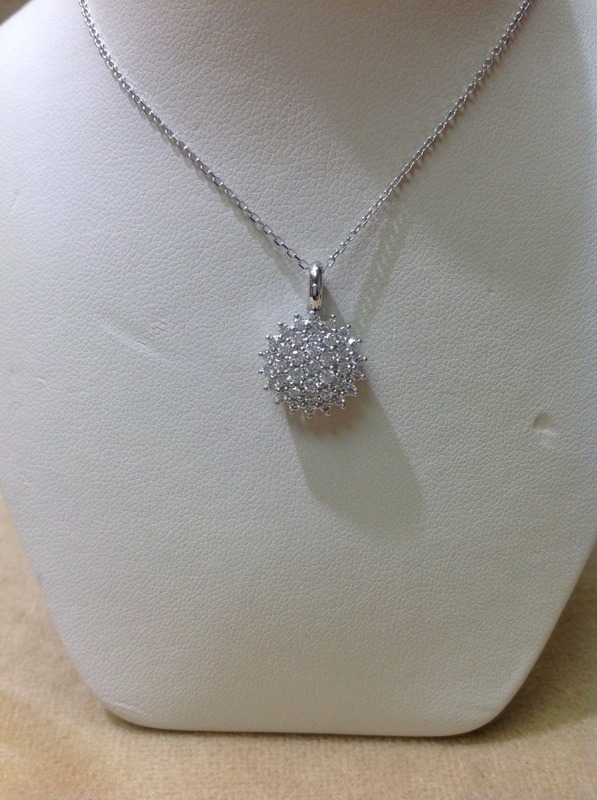 14KW pendant with 37 G/SI round diamonds=0.50 ct. TW. The diamonds are all set in a 1/2" round cluster. Openwork back behind diamonds. Round jump ring swivel bale. 18" cable chain has a lobster claw clasp and a ring at 16" to shorten.